Eighty-six bleach plants across the country put 63.8 million people in danger of a potential worst-case release of chlorine gas, a substance so toxic it has been used as a chemical weapon. Bleach manufacturers use chlorine gas to produce bleach and also repackage bulk chlorine gas into smaller containers for commercial use. 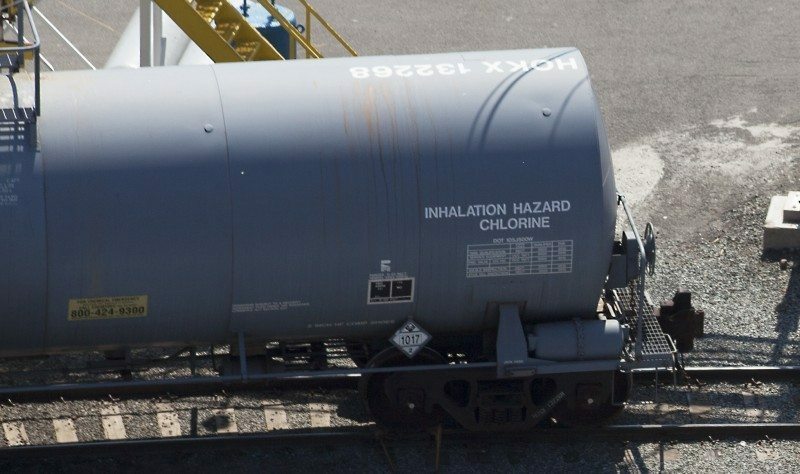 These facilities often ship, receive and store their chlorine gas in 90-ton rail cars that are typically left unattended en route or on site, making them vulnerable to accidents and acts of sabotage. These rail cars cross the country delivering chlorine gas to facilities, endangering the communities through which they travel. Fortunately, bleach plants can operate without this hazard. An increasing number of bleach facilities around the country now operate without bulk chlorine gas storage and transportation, eliminating catastrophic hazards in densely populated areas. This report includes recommendations to reduce the storage, transport, and use of chlorine gas.